Having spent 10 years entrenched in bass music as part of infamous London based D&B collective Vicious Circle, Asylum (real name Andrew Greening) was no stranger to the low end sonics of dubstep when he decided to experiment with the lower tempo in 2011. The resulting single ('Not Afraid' / 'Hibernation') was an instant favourite amongst many of the scene's biggest names, gaining support from the likes of Youngsta on Rinse FM, and Skream & Benga on BBC Radio 1. Longtime friend and musical comrade Ben Verse snapped up the tracks for his Crunch Recordings imprint, identifying the same heady, Blue Note era qualities in the tracks that had also attracted him to the deeper side of the 140bpm tempo. A number of releases followed - notably for Crunch Recordings and Seven's fledgling Uprise Audio imprint, including his debut 'Germinate EP' and the memorable 'Zero Gravity' from the 'Live From The Future' LP. Subsequent Uprise Audio releases 'Always Love'/'Bad Habit' were both selected as Beatport must hear tracks. After several well received sets on Rinse FM, 2013 saw Asylum temporarily relocate to the US, visiting various cities for a string of performances at the likes of Denver's infamous Sub.Mission and LA's long running and peerless SMOG event alongside veterans Digital Mystikz. 2014 bought debut performances at Outlook festival and with 'Native EP', a chart topping release on Uprise Audio. 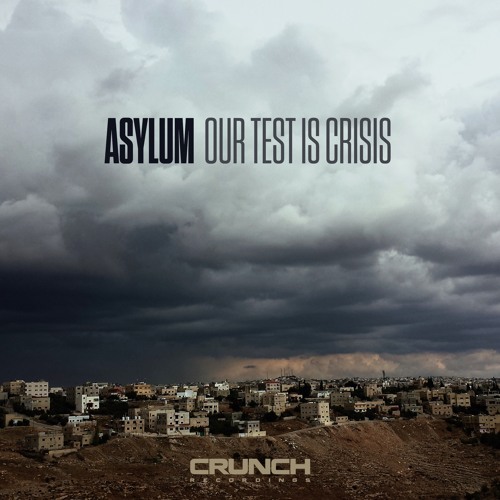 After a two year creative hiatus, new EP 'Our Test Is Crisis' marks a return to Crunch Recordings and the start of a new phase of Asylum productions. With much planned for the coming months, 2017 looks to be an exciting year for devotees of the Asylum sound.